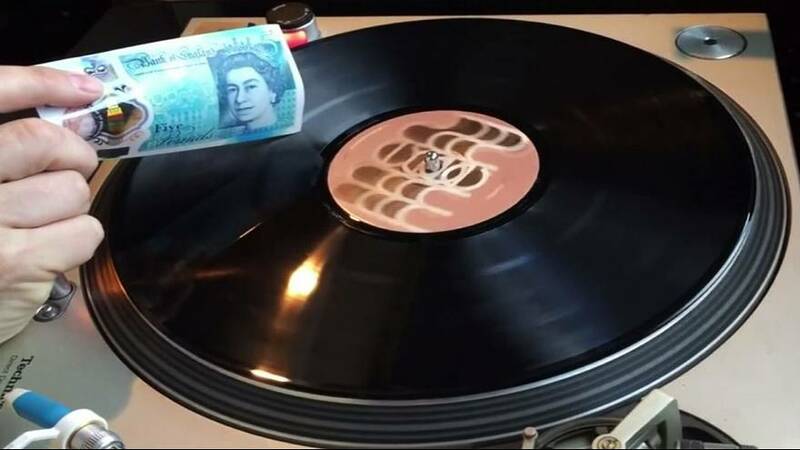 While the value of the British pound sterling has been on the decline over the last few weeks, some music-loving Brits have found an alternative use for the new plastic five-pound-note, using it to play vinyl records. The corners of the new note act as a surprisingly good stylus, mimicking the action of a record player’s needle. Although, it has to be said the sound quality is not as rich as one might expect from more expensive equipment. The new, plastic note was introduced in September 2016 as a more durable and harder-to-forge alternative to its paper counterpart.